Sound of the Rockies brings world-class harmony to Colorado. With more than 100 members of all ages and from all walks of life, Sound of the Rockies (SOR) is regarded as the top men’s a cappella chorus in the Rocky Mountain Region and one of the four best barbershop choruses in the world. Sound of the Rockies performs all styles of music — from sacred and gospel to rock, jazz, and Broadway. We are proud of our tradition of innovation in always introducing new music to our extensive repertoire. SOR produces three major concerts each year — in March, June, and December — at the University of Denver’s prestigious Newman Center for the Performing Arts. For an afternoon or evening of world-class entertainment with Sound of the Rockies, purchase your tickets today! Additionally, the entire ensemble and several popular quartets within the larger group perform at community and private events, festivals, and churches throughout the Denver area and in Barbershop chorus competitions around the United States and abroad. Formed in 2000 through the merger of two existing Denver area Barbershop Harmony Society (BHS) chapters, Sound of the Rockies has placed consistently in the top five in international competition over that last 10 years. The ensemble has won 17 straight Rocky Mountain District chorus championships and 16 consecutive top 10 International Chorus Competition finishes. Sound of the Rockies has released five full-length CDs and has been featured on numerous compilations. The ensemble is lead by Mark Hale, an award-winning quartet singer and chorus director. Thanks to the passion and commitment of its members, inspirational music selection and strong leadership devoted to education and training, the ensemble has built a reputation for always pushing the limits of vocal performance and musical diversity. Central to the chorus’ culture is the continuing quest for the highest levels of a cappella performance excellence and community service. SOR is a registered, nonprofit organization and a member of the Denver Mile High Chapter of the BHS, an organization of more than 23,000 people who love to sing a cappella harmony in the barbershop style. The Sound of the Rockies organization is actively engaged with the community through outreach initiatives, including its Summer Harmony Camp, 52eighty chorus, and Ready? Set. Sing! community voice lessons. An entire season of music and fun for one price! Sound of the Rockies is always looking for new talent. For an introduction to the chorus, prospective members and guests are invited to attend weekly rehearsals on Thursdays at 7 p.m., at Christ Church Denver. The ensemble holds scheduled auditions for new members and welcomes anyone to try out who loves to sing and perform and wants to be part of a tight-knit community of singers who are passionate about harmony. Sound of the Rockies formed in 2000 after the successful merger of two great Denver chorus traditions. The Mile High City celebrates a long history of excellent choruses. Since the 30-chapter Rocky Mountain District of the BHS was founded in 1977, up to three strong choruses always have represented Denver with distinction. In the 1970s and ’80s, the Mile High Chapter (chartered in 1947) dominated district chorus competitions. Then the Denver Tech Chapter, which launched in 1987, took the lead for several years, coming out ahead of some of the Rockies’ most successful choruses. However, by 1999, these two winning ensembles were languishing. Not wanting to give up on their talent and the potential that would come from joining forces, a small group of representatives from each led the way in merging the two and creating Sound of the Rockies. Founding director Darin Drown (2000 -14) was responsible for much of Sound of the Rockies’ success in its first 15 years. Award-winning chorus director Mark Hale currently leads the ensemble. 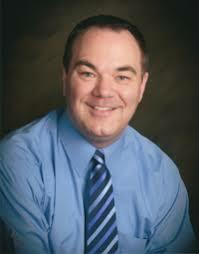 Before these achievements, Mark amassed 15 years of directing experience with two choruses in Kentucky and was a district quartet champion in 1987 and 1995. Mark is a sought-after quartet and chorus coach and arranger, and, along with being a Certified Music Judge, previously was a member of the BHS’ Style Evaluation Committee. Mark discovered the Barbershop Harmony Society as a high school sophomore in Kentucky, shortly after his participation in a school production of The Music Man. This annual convention brings together top barbershop ensembles and quartets from the United States, Canada, Europe, New Zealand and Australia to compete for the international championship title. This is a gathering of choruses and quartets from the nine states that make up the district. Top finalists go on to compete at the international convention.